Eclipse3Integrated safe system of work software, designed specifically for process intensive industries. NiSoft’s office in Denver, Colorado has been busy this month with a series of new projects and engagements across the region. With client relationships already established in a large number of Utility and Petrochemical compnaies across the US, NiSoft’s safety solutions and personnel are no strangers to rolling out multisite and multistate projects. Sean Wilson, VP Sales for the Americas with NiSoft, has recently been part of increasing the number of client sites in the region, as well as expanding the scope of the functionality being delivered in e3 across the current customer base. NiSoft understand that sites are constantly looking to improve their engagement levels with processes, whilst ensuring the highest levels of compliance and efficiency. Our e3 suite of products has been designed to allow sites the flexibility to mould e3 to their process requrements and realise the benefise of a digital management system. With the ability to help manage e-Logs, Incident Reporting, Outages, Auditing, Management of Change and Digital Time recording alongside the traditional safety document management, e3 is fast becoming the operations tool of choice to help transform processes and experience real benefits day to day. NiSoft LLC, with offices in Denver Colorado has recently strengthend e3’s market share in the US with new projects in industry verticals including Power Generation and Petrochemical sites across mutiple states. 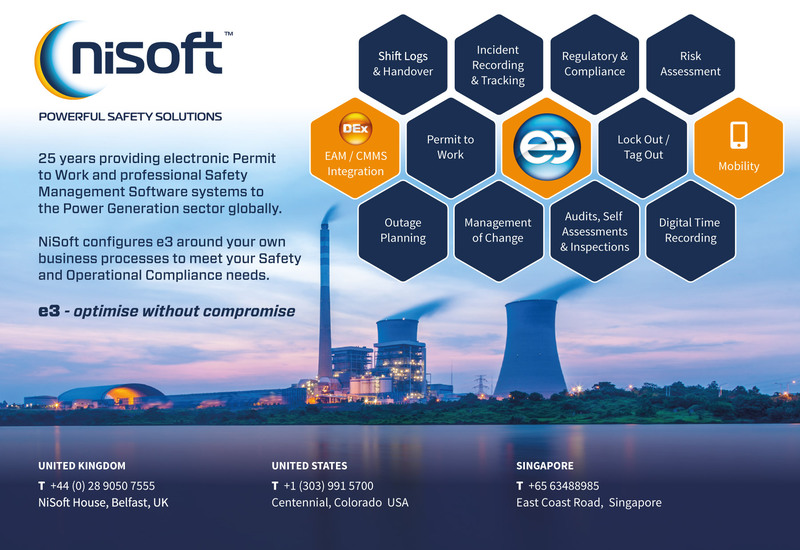 NiSoft have been long established as a provider of LOTO, Permit to Work, Risk Assessment and other safety document management process management across a number of large multistate projects.